The Careers & Enterprise Company State of the Nation 2018 report provides the most comprehensive assessment of careers education in England to date. More children across the country met the expected standard at the end of primary school this summer in English and mathematics, amid rising education standards in England, Minister for School Standards Nick Gibb has announced. 78 per cent met the expected standard in grammar, punctuation and spelling, up 1 percentage point on last year. The new national curriculum and assessments have set a higher standard in schools and today’s rising results show more pupils are meeting that standard, thanks to the hard work of teachers and pupils, and government reforms. This year’s results are the third to be released following the introduction of a more rigorous national curriculum assessments in Summer 2016, bringing primary education in line with the best in the world. Standards are rising in primary schools. There are now 154,000 more six-year-olds on track to become fluent readers today than in 2012, in 2017 the attainment gap between disadvantaged primary pupils and their more affluent peers had narrowed by 10.5 per cent since 2011, and England’s rise up the international PIRLS rankings for literacy put the success of the government’s reforms on a global scale. As part of the NHS 70th birthday celebrations, NHS England has teamed up with Inspiring the Future to get more NHS staff into schools on a regular basis talking about the breadth of interesting roles available and encouraging school children of all ages to consider a career in the NHS. NHS staff Health Ambassadors will help illustrate the connection between what students are studying in the classroom and the potential job opportunities available in the NHS. It is also an opportunity to highlight the role science, technology, engineering and maths (STEM) subjects have for some professional careers in the NHS. If you are a teacher and would like to invite local NHS staff Health Ambassadors to come in to your school or college to talk to your students, you will need to be registered with Inspiring the Future. You can sign up here. Once registered, please log in to your Inspiring the Future or Primary Futures account. You can then search for volunteers local to your school using our interactive maps and filter using the sector ‘Healthcare’. Iain Bradley from the DfE explains how schools can review and improve their handling of personal data. The Department for Education has published the findings from qualitative interviews with former teachers to explore reasons for leaving teaching. 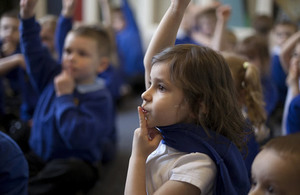 The research consisted of qualitative interviews with former teachers to explore and improve understanding of the reasons for leaving teaching. The research also looked at what would encourage teachers to remain in or return to teaching. New government bursary of £40,000 available from September 2018 for ex-service personnel to retrain as teachers. From September, courses at universities nationwide will offer the incentive to veterans who have left full-time employment in the British Army, Royal Air Force or Royal Navy in the last five years, or anyone leaving before training begins. The incentive will help ex-servicemen and women – who have spent their career honing the discipline, motivation and unique skills needed to become great teachers – make the transition to the classroom where they can share their expertise with the next generation. The bursary has been developed as part of the Department for Education’s commitment to the Armed Forces Covenant – the nation’s promise to those who serve or who have served – and will be offered on priority undergraduate courses in biology, chemistry, computing, maths or modern foreign languages. Academic standards are rising, with 1.9 million more children in good or outstanding schools and a record 15,500 more teachers than in 2010. We want this trend to continue and to explore every opportunity to attract the best and brightest into teaching. Our ex-servicemen and women – who have already contributed so much to our country – have a wealth of experience and expertise that can be shared in the classroom, teaching pupils the knowledge they need to succeed alongside vital skills, such as leadership and self-discipline. How Will GDPR Affect School? The new General Data Protection Regulations (GDPR) come into force on 25 May this year, but what will it mean for schools? We take a look at what you need to know and what you need to do to make sure you’re ready. If you have not heard of the General Data Protection Regulation (GDPR) and you work in a school, you need to get clued up quickly: break the new rules after they come into force on 25 May and the consequences could be damaging both for your school’s budget and reputation.